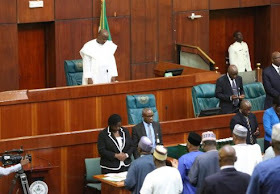 Indications have emerged to the effect that a storm is brewing within the All Progressives Congress (APC) caucus of the House of Representatives, especially returning and newly elected members. 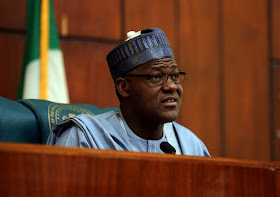 The reason, according to a highly placed source, is that incumbent speaker, Yakubu Dogara, who’s currently in the opposition is holding meetings with aggrieved APC lawmakers. The source, who asked not to be named, also told Dailygists that the leadership of the APC is aware of Dogara’s scheming and is monitoring its members and their activities building up to June. While the source did not mention how many APC lawmakers were holding meetings with Dogara and who they are, he, however, stated that a major contender for the seat of speaker from the North Central, Ahmed Idris Wase, was also approached by the group for meetings with Dogara, but has serially stayed away. “I can tell you that they have tried severally to get Wase to attend the meetings, but he kept dodging them. One of them even said the speaker is considering him for the deputy speakership position if he aligns with him, but Wase has refused to attend”, he said. Probed to name the members attending the meetings with Dogara, the source said he could only say that “many APC members from other zones are not happy with the party’s apparent favouritism towards the South West”. He said reactions and protest against the move are reasons why many members are declaring their intentions to run for the office. Recall that on the day Femi Gbajabiamila, a top contender in the speakership race and a possible anointed candidate of the party, declared to run, another lawmaker from North Central, Muhammed Umar Bago from Niger, also declared his intention to run. Since Bago and Gbajabiamila’s declarations, another North Central lawmaker, John Dyegh from Benue has also joined the race. Dyegh, formerly touted to head the speakership campaign of Idris Wase, declared during the week in a twist of event many have described as a protest against the party’s arm twisting tactics, as well as the manner Wase has kept the North Central caucus in the dark regarding recent developments they got wind of. It was said that Wase whom the caucus was rooting for was being offered deputy speakership position to run with Gbajabiamila, but didn’t deem it fit to inform the caucus and keep them on the same page. Asked if Dogara has hijacked the caucus, the source declined to comment. He, however, said, “All I can say is that many members are not happy with what the party leadership is doing with the zoning arrangements, and they’re realigning”. Dogara is said to have the support of the 123 PDP members with promises of better deals for them if they could also bring their friends on the APC side to his camp. The speaker is said to have waited with bated breath whilst working underground to see cracks in APC walls and exploit same to his advantage, as it was in 2015.